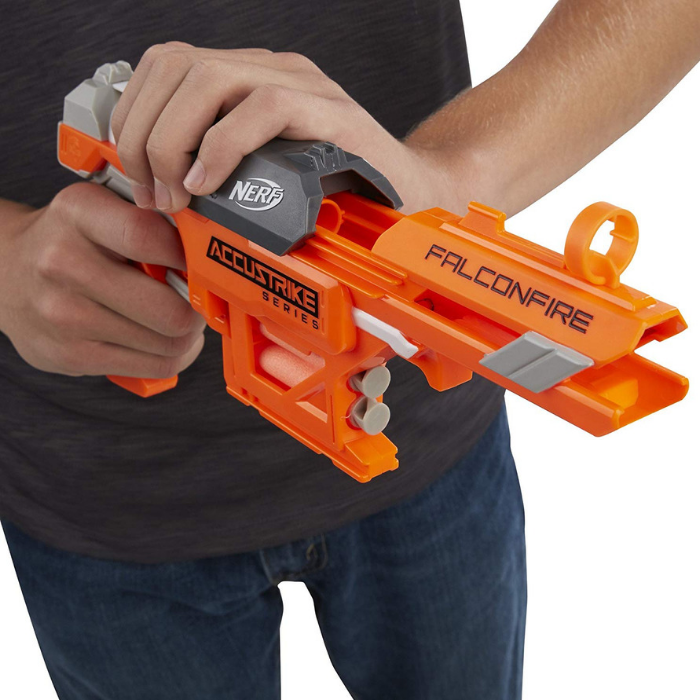 Nerf N-Strike FalconFire Just $7.51! Down From $15! PLUS FREE Shipping! You are here: Home / Great Deals / Amazon Deals / Nerf N-Strike FalconFire Just $7.51! Down From $15! PLUS FREE Shipping! Check out this Nerf N-Strike Elite FalconFire which is on sale at Amazon for just $7.51 down from $14.99 PLUS FREE shipping! Experience the excitement, energy, and attitude of the Nerf brand, and find out why It’s Nerf or Nothin’. Nerf N-Strike Elite blasters from Hasbro deliver the ultimate in blaster performance for Nerf battles. Strike with confidence with the Nerf N-Strike Elite AccuStrike Series FalconFire blaster that features darts designed for greater accuracy!